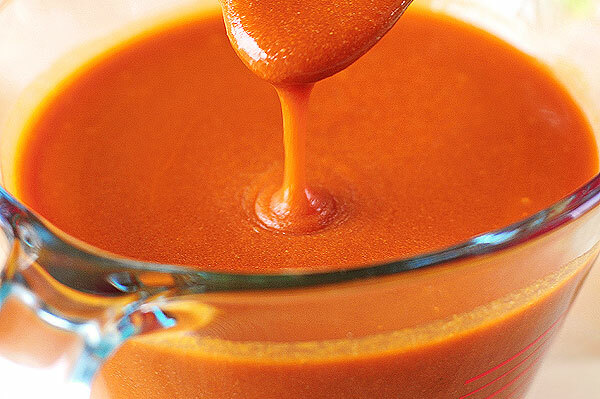 Spice things up a bit with this homemade Chicken Wings Hot Sauce Recipe. It seems like football season and hot and spicy go hand in hand. We’re certainly not complaining around here. Especially if hot wings are involved. Although anything with hot sauce is popular family-wide, even with our former picky eater. Maybe especially with our former picky eater. Hot sauce finds its way into anything and everything on his plate. At the age of 15 he gets to mixing and combining all kinds of seasonings to spice things up. The spicier the better as far as he’s concerned. I sure do look forward to the day he masters his cooking skills and serves up his own batch of prize-worthy spiced up wings. I don’t think we’ll have to wait too long. He’s already shown a penchant for it. Recently I mixed up our own version of a Chicken Wings Hot Sauce Recipe with enough heat to please our son. 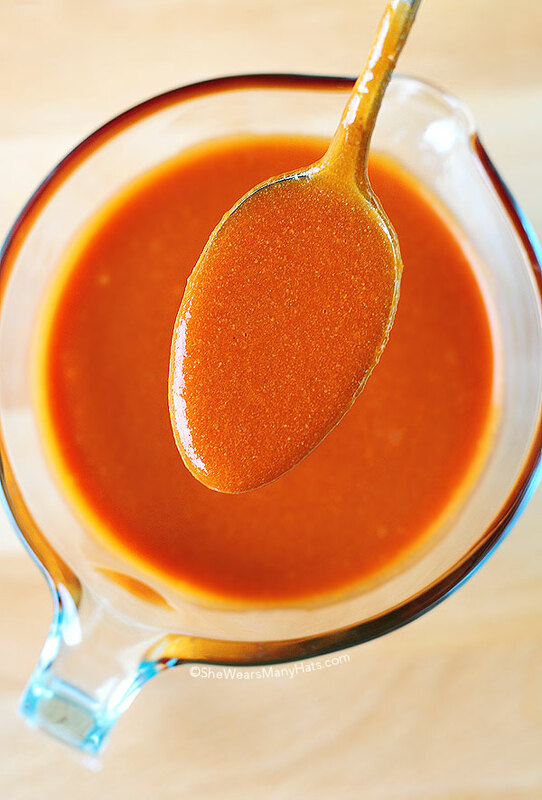 This hot sauce is such a great addition to any grilled chicken or try it on ribs too. In the meantime I hope you enjoy the spicy concoction with this Chicken Wings Hot Sauce Recipe. If you like things a little on the milder side, taste and adjust accordingly. It’s pretty hot, y’all. 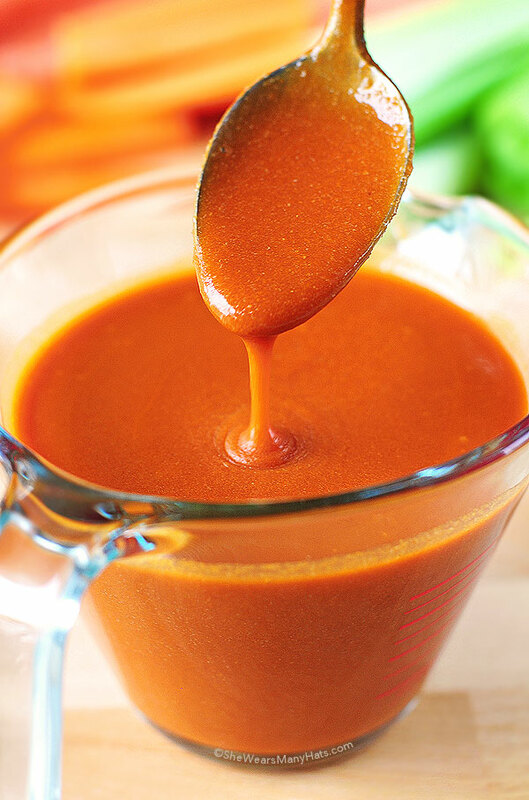 A simple homemade hot sauce perfect for chicken wings or other spicy recipes. 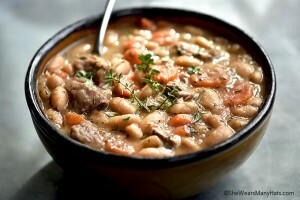 Combine all ingredients in a small saucepan stovetop and bring to a low simmer. Simmer for about 2-3 minutes, reduce heat to low and cook for at least another 10 minutes or so. Remove from heat and use right away, or, if preparing ahead, let cool, then refrigerate covered until ready to use. Mmmmmmmm I need some of this now and it’s 10:40 a.m. Bet it would be delish on scrambled eggs!! We put it on all kinds of things too! Sweet potato fries are my favorite for hot sauce. Hello, hot wings. This sounds delicious. I put hot sauce on everything! Love this! I’m down with hot wings, Amy! I can’t wait to try this. I love hot sauce. I made this for buffalo chicken sliders. In the crockpot, i add four chicken breasts. 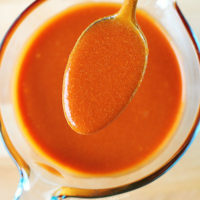 Pour buffalo sauce over chicken cook on low for 6-7 hours. Shred with forks. Served on Hawaiian sweet bread with blue cheese yogurt dressing, and swiss cheese. To die for! That sounds delicious! I’m hungry now. For folks confused about the “half ounce of soy sauce” its JUST a Tablespoons worth. Lol.